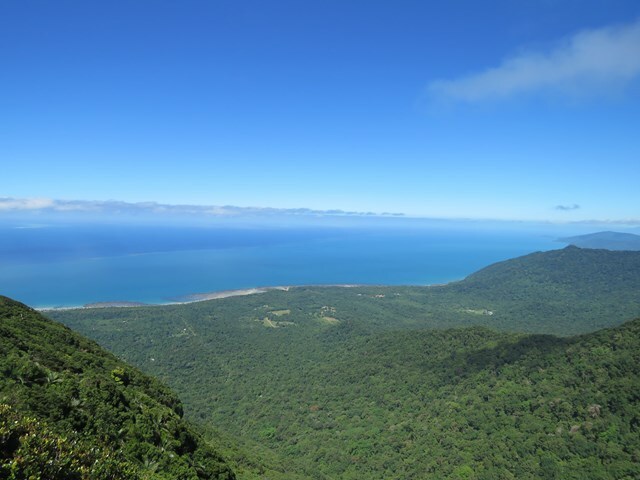 Daintree National Park is comprised of two sections. 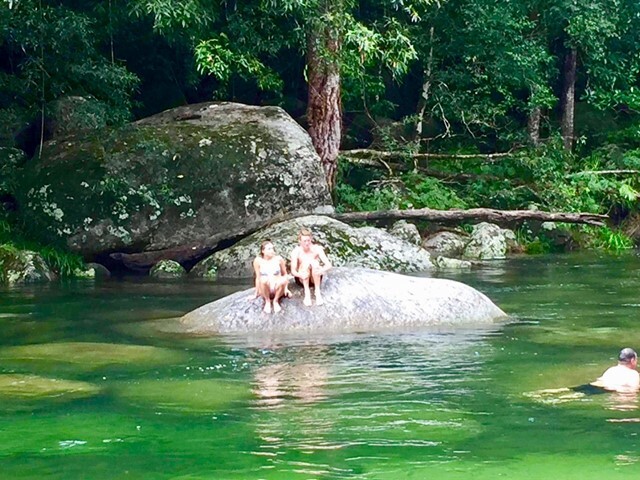 The crystal-clear waters of the Mossman River cascade over granite boulders in Mossman Gorge Section while Cape Tribulation Section features rainforest-clad mountains that sweep down to long sandy beaches. 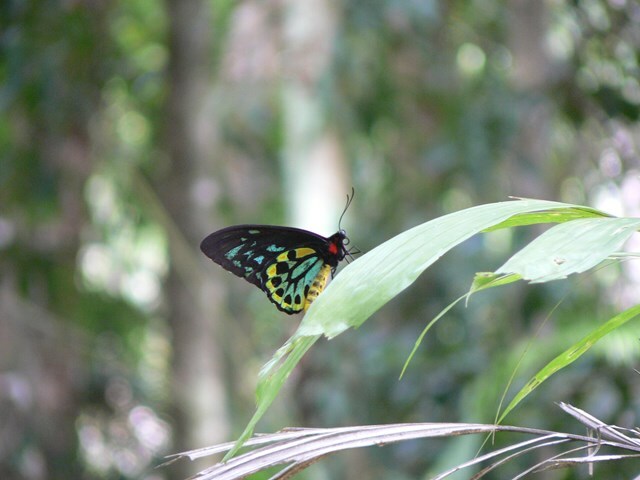 The Jindalba (meaning ‘foot of the mountain’) boardwalk explores tropical lowland rainforest. 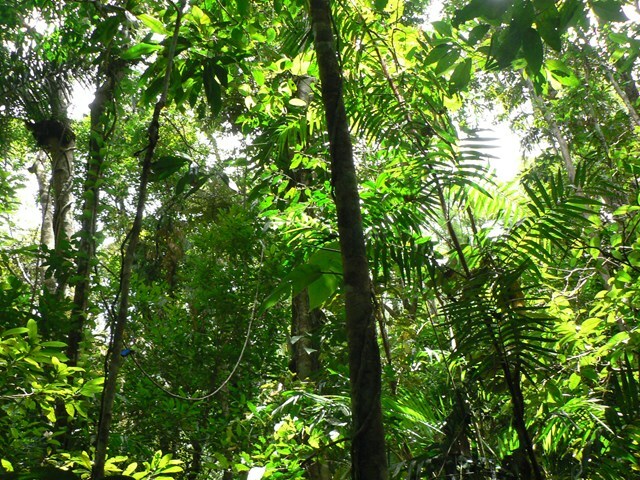 Quiet walkers may be lucky enough to see a tree-kangaroo or cassowary. 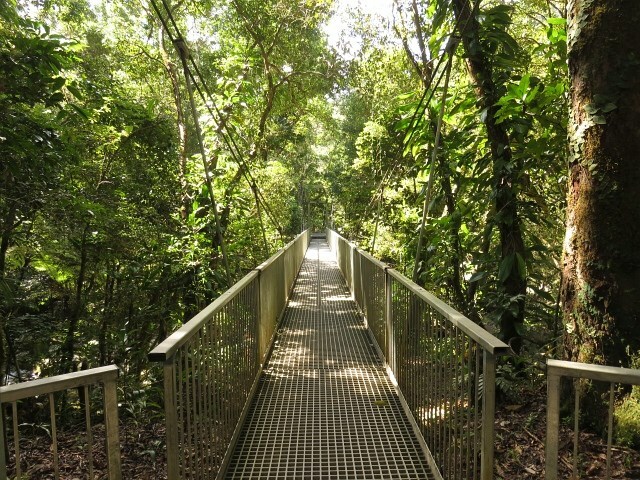 Boardwalk transitions to gravel path through lush rainforest in the Daintree. 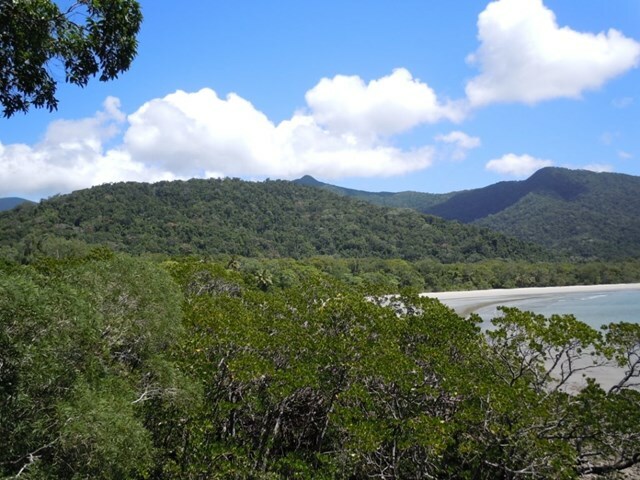 This is quite close to the Daintree Discovery Centre which is well worth a visit also. 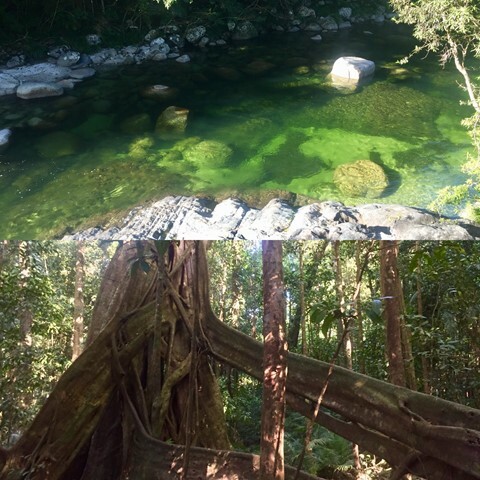 Located in the southern part of the World Heritage Listed, Daintree National Park, Mossman Gorge is one of the few places in the country that visitors can gain an insight into the lives, culture and beliefs of Australia’s Indigenous population and their connection to the natural environment. 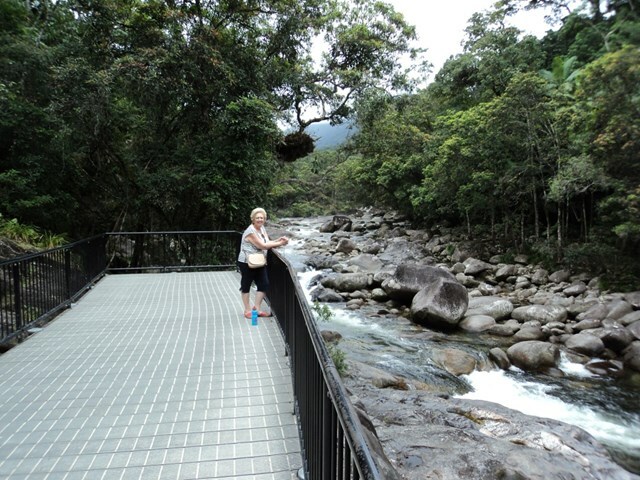 Walk along the creek and enjoy the Mossman Gorge in all its beauty. 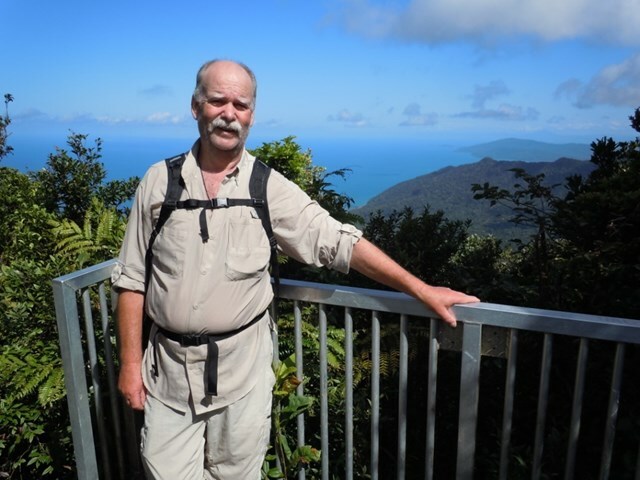 I found this track a beautiful but hard walk just out of Cape Tribulation town. This track is now well worn and thanks to fellow bushwalkers has been clearly marked with pink flagging tape. The 1st kilometre is fairly steep with log hops and tree roots to watch for, but the 2nd undulates slightly and can be power walked. From there to the top the trail is very steep and you will be pulling yourself up tree roots and tiny rock handholds; there is even a section where a rope has been provided to aid your climb. 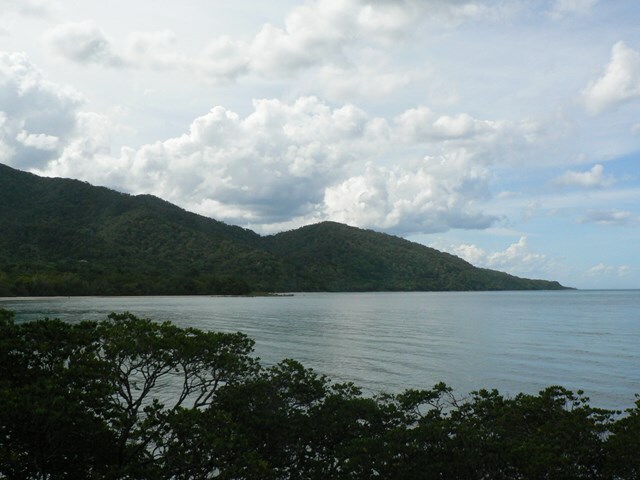 At the top there is a viewing platform with great views of Cape Tribulation Beach to the east. 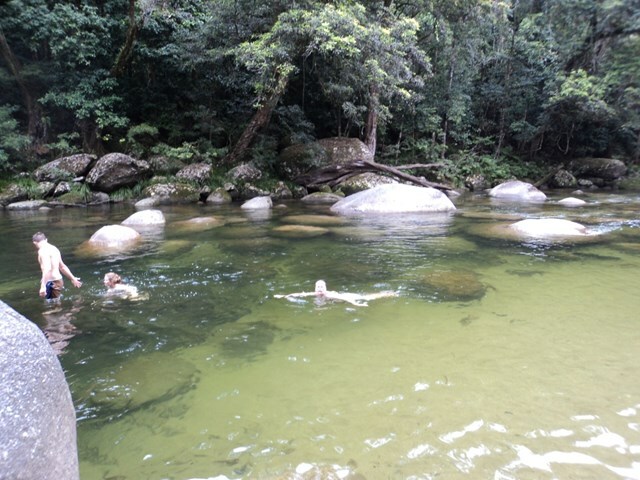 There are no creeks on the walk, so take plenty of water (min 3lt). 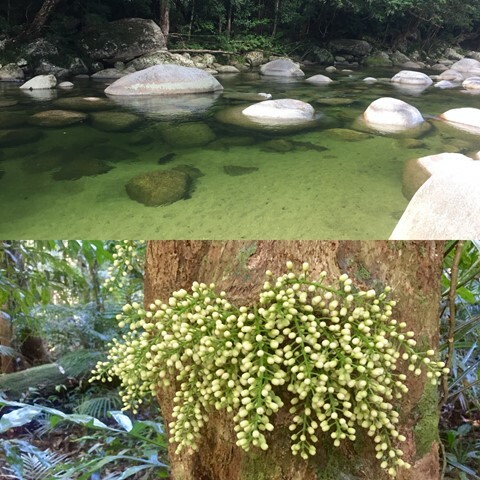 Stinging Trees, Leeches (in the wet season) and spiky palm leaves and creepers abound! 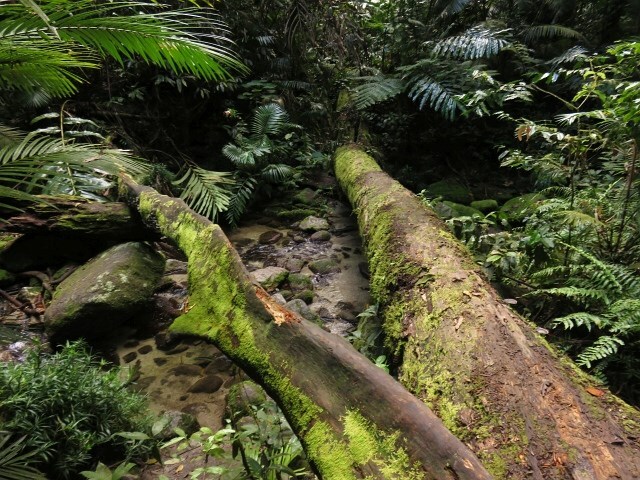 This is also Cassowary country. 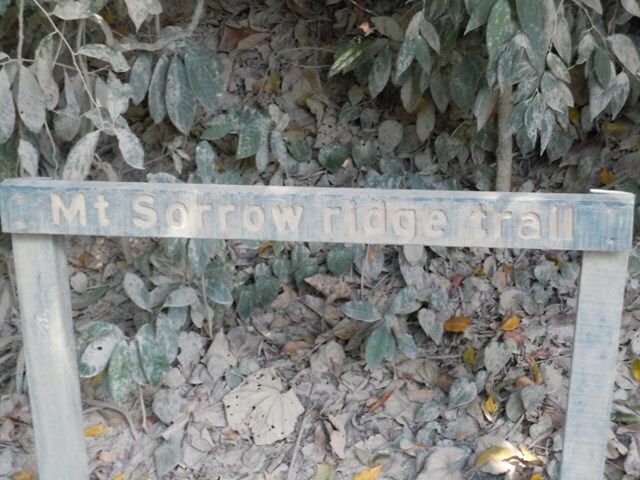 The forest is thick, so no views till you reach the summit. Leave yourself plenty of time for the return walk as the 'canopy cover' dusk will be about 1hr earlier than in the open. 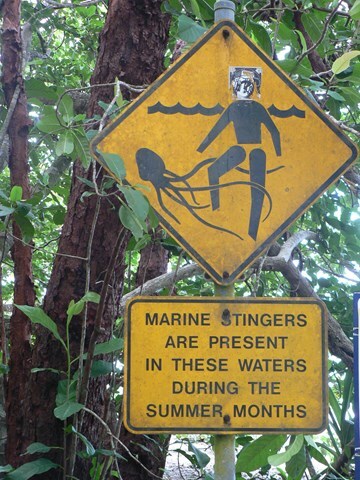 Don't be tempted with a cooling swim on Cape Tribulation Beach on your return, as you might just get snapped up! 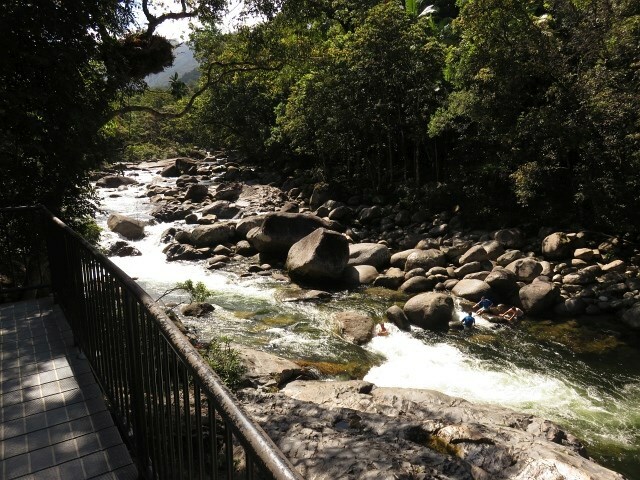 Located in the southern part of the World Heritage Listed, Daintree National Park, Mossman Gorge is one of the few places in the country that visitors can gain an insight into the lives, culture and beliefs of Australia’s Indigenous population and their connection to the natural environment.